I Do Bridal offers full alteration services for all members of your bridal party. For brides, the first alteration fittings should be scheduled at least 8-10 weeks prior to the wedding date. For bridesmaid’s/mother’s/flower girl’s dresses, the first fitting should be scheduled 4-6 weeks prior to the event. 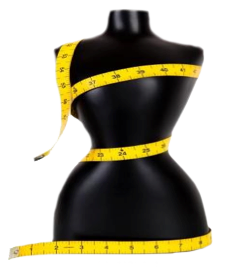 To schedule your first alteration appointment, you can call us at 815-777-2507. It is extremely important that you wear the shoes and undergarments to your fittings that you plan to wear on your wedding date. Your first fitting for a bridal gown may last from 20 minutes to an hour. A bridesmaid’s/mother’s/flower girl’s first fitting will be 15 to 20 minutes. Brides should expect to have 2-3 fittings and a separate appointment to pick your dress up from the store. Bridesmaid’s/mother’s/flower girl’s dresses usually require 1-2 fittings and a separate pick-up. While memories can last forever, our cherished wedding gowns cannot! Allow I Do Bridal to preserve one of the most beautiful symbols of your special day. Whether you want to preserve your gown for your own memories or to create an heirloom, I Do Bridal can keep your gown looking like new! Guaranteed for 100 years! We have a supply of wedding gown preservation kits on hand for your convenience and the preserved gown can be shipped directly to you at no additional cost. Please call for pricing and further details.